You might have heard about Limited Service Hotels and Full-service hotels. Select Service Hotels encompass everything in between. In this post, we have covered the definition and interesting details about the select service hotels. But, now you can reap the benefits of both thanks to the emergence of select-service hotels across the globe. As you might expect, this hotel class is a hybrid of limited-service and full-service hotels. One of our earlier posts has covered Limited Service Hotels in details for cost-conscious and budget-friendly travel. In this post, we have covered the select Service Hotels briefly. This is an interesting segment which has gained popularity in the past couple of decades. People look for good service, safety and choice in their hotel rooms; and the select-service segment gives exactly that to customers. You can select a room that exactly suits your needs. The Hotel industry is expanding with a new fleet of Affordable hotels around the world in the Select service category. Over the course of two decades or so, the grey area between full-service and limited-service hotel establishments has given a rise to this select-service segment. Initially, the select-service sector encompassed hotels that had no banquet facilities or restaurants but it has evolved ever since to become somewhat unrecognizable. 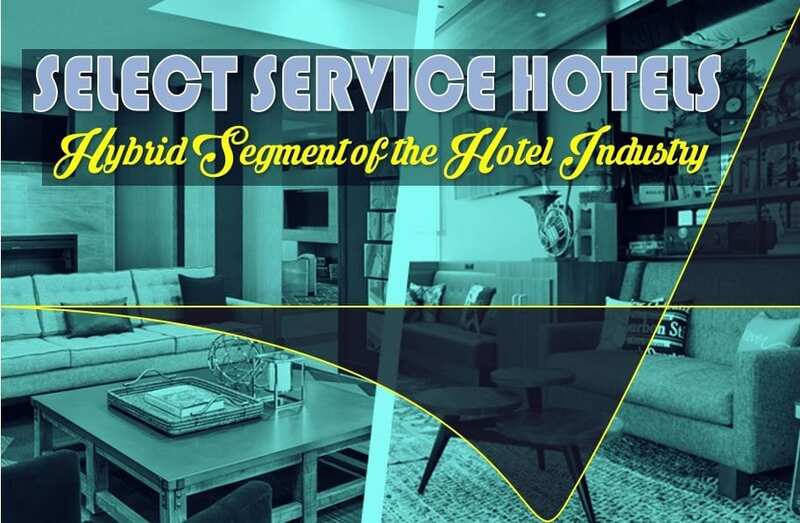 From its name, you can infer that the hotels which fall under the select-service segment provide fundamentals characteristic of limited-service properties alongside a selection of the amenities, facilities, and services typical of full-service hotels. In essence, it means that these hotels usually offer banquet facilities and restaurants but on a budget scale. Select Service Hotels still care more for the budget conscious travellers but going an extra mile to outclass the limited service hotels. For the most part, select-service hotels borrow a leaf more from limited-service sector than the full-service segment. An incisive look at the industry itself shows that select-service hotels come in a huge variety, with particular offerings varying from one property to another. What are the Features of Select-Service Hotels? Select Service Hotels are probably the biggest segment of the Hotel industry in current times. Even the Largest Hotel Chains are venturing big time into the select-service sector. While there are a lot of features that makes select service hotels attractive for travellers and hoteliers alike, three of them are worth mentioning here. By bringing the two worlds of limited-service and full-service segments together, select-service hotels have been able to keep running costs favourably low by providing services, facilities, and amenities in moderation. That means they can make their services and hotel room rates quite affordable for the budget traveller looking for decent comfort. Select-service hotels aren’t just affordable; they also boast in-room amenities that are close or match up to the levels in full-service properties. Since the industry is rife with cut-throat competition, the select-service sector has consistently improved its facilities to offer amenities that rival those found at full-service hotels while maintaining their hotel room rates low. The phrase “select-service” may be somewhat new, but the concept has been around in the hotel industry. It’s only now that demarcation has become a little clear. Nonetheless, select-service hotels are closing the service and amenity gap between them and full-service hotels rapidly, and the line between the two has been blurring every year. Traditionally, select-service has been associated with quintessential hotels like Hyatt Place, Hilton Garden Inn, and Marriott’s Courtyard, but the segment also includes particular hotels from primarily limited-service chains like Days Inn, Clarion, and Best Western. The latter is known to feature in-building restaurants and more vibrant in-room amenities. Big chains like Marriott is investing big in the Select-service segment of the hotel industry. Other global chains are not falling far behind either. Source- File image by Marriott International Inc source . More and more standalone properties and in-country chains are venturing into the select service hotel segment. With the rise in apartment sharing and homestays, Select-service hotels give the Hotel industry an area to expand and innovate for the good of travellers. Select-Service Hotels are in high demand in the current era. Need for innovation, speed, select-service and affordability have increased the setup cost of Full-service hotels. Select service hotels are thus less risky with a good margin of profitability. 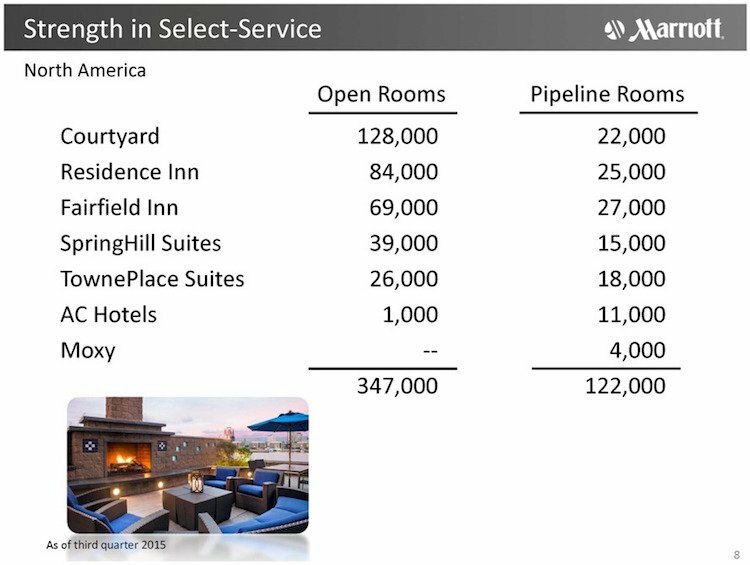 While there may not be a lot of difference in the profitability of Full-service and Select-service hotels in the USA but the low risk and setup cost gives latter a clear edge over the former. This hotel segment which has become more popular over the past couple of decades is set to gain further momentum in the coming years. The scope is even better in the developing country with a more cost-conscious crowd and with a fickle travel trend.